I love America and I thought this mosaic would express my feelings about Freedom. I'm so blessed to have a wonderful family and friends. I enjoy everyday and try to stay in the moment. This place called blogland gives me the Freedom to express myself in a creative and positive way. 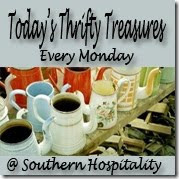 Ronda @ Southern Hospitality for Thrifty Monday Click Here for thrifty finds. What a great time we have jumping from one blog to another. Thank you for visiting. Please leave a comment and become a follower. Happy 4th of July! 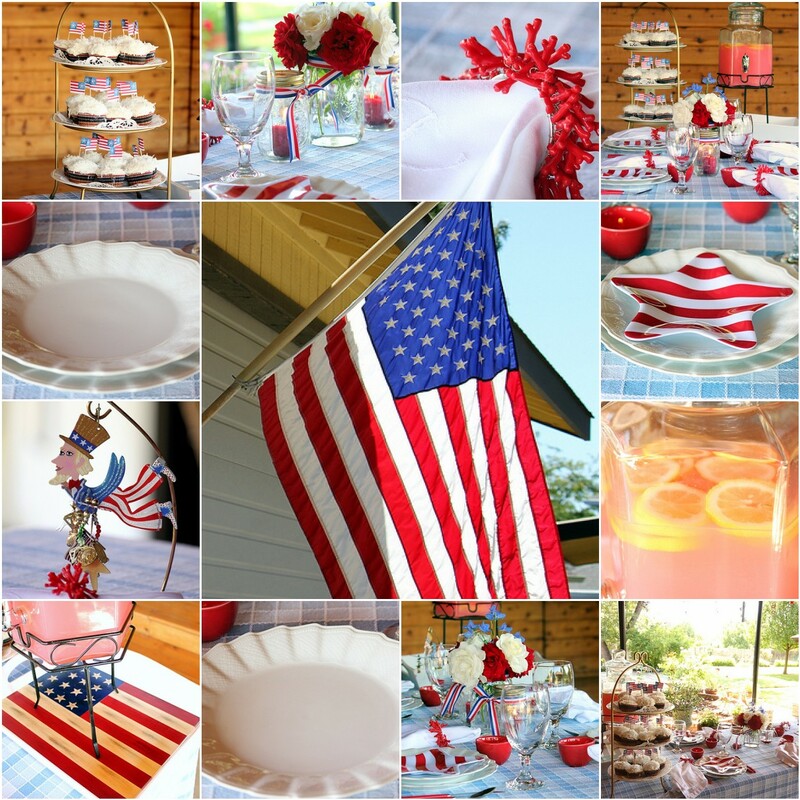 Your table looks very patriotic! Beautiful mosaic! Wonderful mosaic to celebrate July 4th. Blogger land is a great place to be, with great friends. Beautiful table. Love the stars. Is that lemonade? I want some! I've been lemonade *hungry* all day!!! Isn't Blogland wonderful?!!! What a fabulous mosaic - you did such a great job with your table & decorations! What a wonderful Mosaic...so summer and holiday appropriate. Thank your for sharing. Just lovely. This is such a lovely patriotic mosaic. I hope you had a wonderful 4th of July! I love Americana, so I really enjoyed it. So colorful! Looks like you had plenty of goodies to eat too. Lovely photos! Nothin' like the red, white and blue - no matter how you display it! WOW what a great mosaic. Congratulations on being married for 50 years...you are a true inspiration to many of us! Beautiful mosaic and tablesetting. Very inviting. Love lemonade on hot days! Congratulations on your anniversary! That's terrific! I pray I have that long with my Dearest. I have two giveaways this month, hope you stop by!